The William G. Mather was a Great Lakes freighter ship that was commissioned as the flagship of the Cleveland-Cliffs Iron Company. It was completed in 1925 and remained the flagship until 1952, when it was replaced by the Edward B. Greene. Mather still remained active in the fleet until 1980. The William G. Mather's main cargo was iron ore used in an, at the time, bustling Cleveland steel industry. There were also guest cabins for transporting those who wished to travel across Lake Erie. 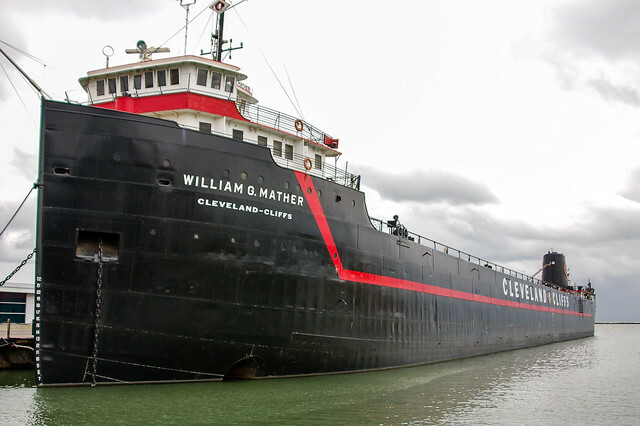 The William G. Mather is now a museum located in the same vicinity as the Rock and Roll hall of Fame and the Cleveland Browns Stadium. For a modest fee, you can go on a self guided tour of this ship. 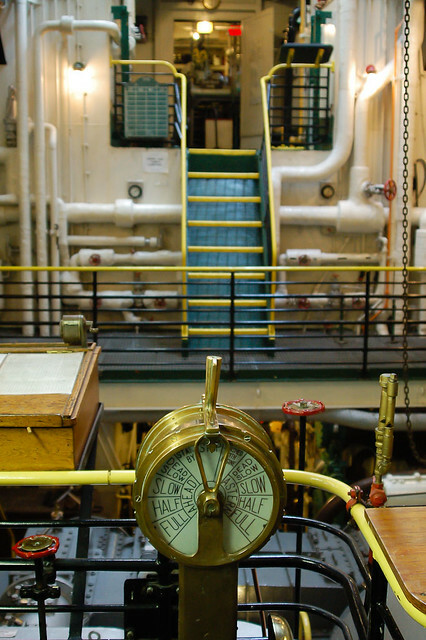 It was very interesting and the volunteers that work the decks are helpful in answering any questions you might have. Generally, when people think of steel, they always think of Allentown or Bethlehem Steel in PA. Ohio has also had a long and proud steel history and this ship was part of that. The iron ore brought into Cleveland was used during World War II for the war effort. This Wikipedia link will give you a good summary of the ship and it's activity throughout the years. He's BACK!!! And So Is the Arnold Classic!